Two of the most important tasks of any business is to build up a clientele that will be interested in what you have to sell and to develop high-quality leads. For many years those leads were the result of bulk mailing catalogs, letters and other types of direct mailing. However, many of these bulk mailings wound up in the trash as people were too busy to take the time to read them. One of the most important parts of being successful is having the ability to measure how your marketing program is performing. This is possible through the use of key performance indicators (KPIs) also known as direct marketing indicators. These indicators can tell you immediately whether you are achieving sales goals and whether your marketing program is paying off. Other things they reveal include the number of mailings sent, average sale per mailing, the average cost per sale, cost per mailing, etc. The importance of direct marketing indicators is that they will not only tell you how much it costs to acquire new customers but also how much they are spending. More importantly, it will also tell you if your direct mail program is performing as you wish, and if it needs refining or if it should be discarded. The latest developments regarding direct mailing campaigns will provide the opportunity to reach customers who are truly interested in your product and increase favorable direct marketing indicators. This is done by personalizing your mailings with a hand-written, non-computerized message and putting the customers on a scheduled mailing list. These digital hand-written personalized postcards result in the prospective customer opening the envelope to see what is inside. The end result helps develop new leads for your business as well as creating a numerical marketing platform that helps track their actions. At Postlead, we are happy to assist small businesses to reach their highest potential in the business world by assisting in developing the best possible direct mailing campaign to fit their needs. It has been found that prospective customers react more favorably to direct rather than online messages. Our direct mailing project also offers the opportunity to develop an automated dashboard. This allows you to track where your postcards/greeting cards are going, get reports on contacts, make an analysis of the results and obtain other important information. 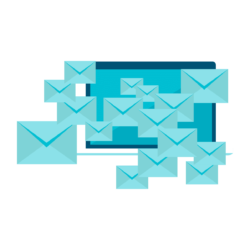 In addition, at Postlead we offer numerous tools that will aid you in developing the best small business owner direct mailing project possible. We understand how difficult it can sometimes be for a small business owner to compete with large corporations. It is our aim to make your business as successful and profitable as possible while helping you understand your direct marketing indicators. For more information regarding outreach marketing, key performance indicators and other factors that will provide you with a successful business, fill out our online form and we will be happy to discuss our program with you.